Rosh Hashana is not a joyful holiday for the family of Alona Avraham, who was killed in the attacks on the World Trade Center. 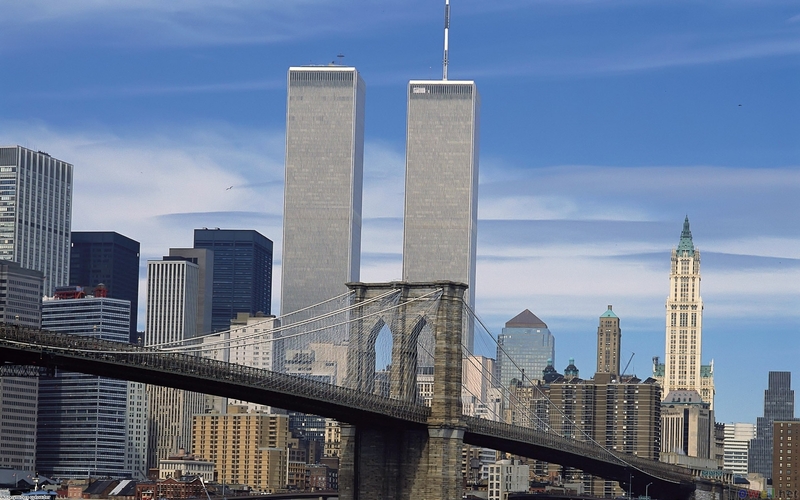 Since September 11, 2001, the family gets together a few days before the holiday for a memorial ceremony, but this year they are coping with even greater pain `“ the news that an Islamic community center is to be built close to Ground Zero leaves them with no rest. Alona, from Ashdod, was 30 years old when she went to visit her uncle who lives in the US, on one of her first trips abroad. On September 11, she boarded flight 175 at Boston's Logan International Airport to Los Angeles and died in the terror attack. Though her remains were returned to Israel only seven years later, her family sat Shiva immediately upon receiving news of her death. Now, nine years after the tragedy, they are doing all they can to prevent the building of the Islamic community center near the place Alona lost her life. "I contacted the family of Haggai Sheffi, who was also killed in the disaster," said Alona's mother Miriam. "We intend to address the US government together about this. My position is clear `“ there shouldn't be any mosque there. It cannot happen. I don't understand this government, they invest millions into catching (Osama) Bin Laden but on the other hand they allow this mosque. It's like bringing a pig into a holy place." She firmly rejects reports that the Islamic community center is intended to bring religions closer. "All that's just nonsense," she says. The fight against the construction of the Islamic community center makes coping with her terrible loss even harder. "We are in a very difficult period," she says. "The memorial was last Thursday, and was even harder than in previous years. This holiday is tempered with grief, we're trying to recover, trying not to fall into the abyss. It's really difficult. Nine years have passed and it feels like it happened now. It's tangible all the time." Tensions over the Islamic community center flared Saturday as demonstrations began shortly after family members of the victims recited loved one's names through tears at a somber ceremony marking the ninth anniversary of the attacks. After the ceremony, around 1,000 activists rallied about five blocks from the site of the attacks to support the proposed Islamic community center. Opponents gathered blocks away, with the two groups expected to converge near the mosque site. Toting signs saying, "The attack on Islam is racism" and "Tea Party Bigots funded by corporate $," mosque supporters gathered near City Hall about an hour after a New York anniversary ceremony ended and planned to march closer to Ground Zero. Just blocks away, demonstrators chanting "USA, USA" gathered to protest plans to build the Islamic center. Some carried signs, including messages like "Never forgive, never forget, no WTC mosque." Holding a US flag and a copy of the bill of rights, one demonstrator explained, "Not all Muslims are extremists, but all extremists are Muslims. U.S. authorities have identified and repatriated a bone fragment belonging to an Israeli victim of the 9/11 attack in New York. I imagine they'll all roll over and die if ever they knew the REAL truth. But this makes a good distraction by the media and keeps hammering home the propaganda that 'devout Muslims' done it. One has to admire a media that is so obsessed it brooks no deviation from their assigned script, regardless of the facts. What hijackers? There is not even any certainty on that point. They always forget to mention she was living in the Boston area for awhile and that she had a 5 year old son at the time; her son must be about 15 years old now. In another 10 years we should be hearing about her son considering his mother made her mark by murdering 3,000 Americans and sacrificing herself for Zionism. So why hide the fact she had a son if she was a victim? Jews don't shy away from making $$$ from being victims. The only thing that fits is she was an Israeli agent and one of the hijackers on 175. The official cover story in 2001 is that she was working as an engineer in the Boston area for Applied Materials and that she was flying to LA to visit her uncle for the Jewish holidays. Her son remained in Boston and was taken back Israel after 9/11 to be raised by her mother. So Alona Avraham and Daniel Lewin, two IDF commandos each on the two separate planes that hit the twin towers, just happened to be onboard? If they weren't onboard, why insert them in the story at all? ..... and the towers came down perfectly like they should/would in a demolition? Hmmm. Danny lewin was a 30 yr old capt in the Sayret Matkal (Israeli commando) .... Betty Ong said 'The passenger in seat 9-a just shot the pilots', which was later changed to the Arabs shot Lewin. The odds of Lewin being on the plane, sitting in the middle of all the hijackers, etc etc are a billion to one. I'm still looking for the Logan surveillance video of Atta and his gang of 9 Muslim hijackers. A perfect demolition would not have evaporated 80% of the mass of the buildings into a plasma dust tsunami. Demolitions were in play, but I think more as a redundancy factor. I tend more to listen to Judy Wood on the mechanics of what really happened. A Tesla like resonance weapon is likely. But that's just my opinion and not really inclined to go on about it. We need to get past 9-11as a focus. Anyone who seriously supports the official line is either a fool or a suspect. But as to the hijackers, that whole issue of passenger lists, cell calls, etc... more and more the evidence would indicate that the whole initial scenario handed up by the government is a hollow hoax. I see it now as mere distraction for the latecomers to get lost in for a few years. A perfect demolition would not have evaporated 80% of the mass of the buildings into a plasma dust tsunami. Demolitions were in play, but I think more as a redundancy factor. But then again I am an article terrorist. Spreading ASCII text of hate and copyright violator. Listening to Judy Wood on Deanna Spingola's show on RBN today as we move yet another year forward and still the dispute of what happened to the towers has nor been resolved. I am going to suggest my theory which combines both sides of the debate. I have been deeply immersed in the physics being presented by the electric universe over the past few years which meshed very well with my own take on the 'mechanics' of creation. There are four states of matter in our physical world - solid, liquid, gas and plasma, the latter being a soup of electrically charged particles that are overcharged to coalesce into molecules. The buildings were rigged for demolition, not to cause free fall but as a precursor condition in preparation for a highly charged electric magnetic current directed at the towers, most likely though ionospheric charging by the HAARP arrays out there. The energy necessary for the second stage of destruction was drawn from the hurricane off the coast of New York and redirected at the towers much like a massive lightning strike, though more of an ion stream not visible to the naked eye. This sort of pulse would normally have no effect as we are protected by the Earth's magnetic shield. We are bathed in ion streams from CMEs regularly but those streams are seldom direct and have been spread out somewhat given a distance of 93 million miles between Earth and Sun. So why the charges? Well here, though reluctant to do so, but hoping that the two warring parties can come together when they realize that they are staring at tow faces of the same coin. Let the Janus crowd make of that what they will. In any case I will go out on a limb as a self educated layman and suggest the following: severing the metal columns would have eliminated the grounding necessary allow the flow of ions to go to ground and the energy was so intense as to have charged the steel columns and beams and all else in the building and converted most everything solid and liquid into the higher state, plasma. It was not a complete state change but sufficient to tear apart the solid and liquid states leaving only fine particulate matter carried away as it was in the massive cloud that spread out from ground zero. I leave it to the reader to consider my hypothesis seriously. If it fails then perhaps it will act as a lightning rod for both parties to come together and move forward and take a look at all the other hell the psychopaths have going on. 9-11 has become too much of an obsession and is an anchor on minds that should know better. In a way they seem not to be able to away from the trauma that 9-11 was meant to induce.